We travel the world looking to discover new, amazing ways of enjoying food and delicious new dishes, but we will always love Amsterdam! Whether you’re a tourist visiting the city for a day or you’re a local who knows the city like the back of your hand, there’s always something new to discover and do. New healthy hotspots have been popping up all over town, so below is a list of our very favorites at the moment. 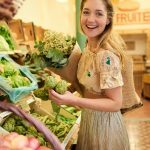 From well-stocked organic markets to awesome lunches, here’s a list of our favorite healthy hotspots! A cozy place to enjoy a healthy lunch or a delicious cup of coffee. The ‘living room’ look and feel guarantee you’ll feel right at home here. Vinnies has two locations – one in the bustling Harlemmerstraat and the other on the way into the city from Central Station. This is adorable cafe in the heart of the city offers not only delicious breakfasts, lunches and snacks, it’s also a storefront, selling lifestyle products and items for your home. In terms of food, they have nearly everything: salads, sandwiches, fresh juices, smoothies and even cakes! We love to take a breather at this happy, cozy spot. On the go? They do take-out too! A must visit. 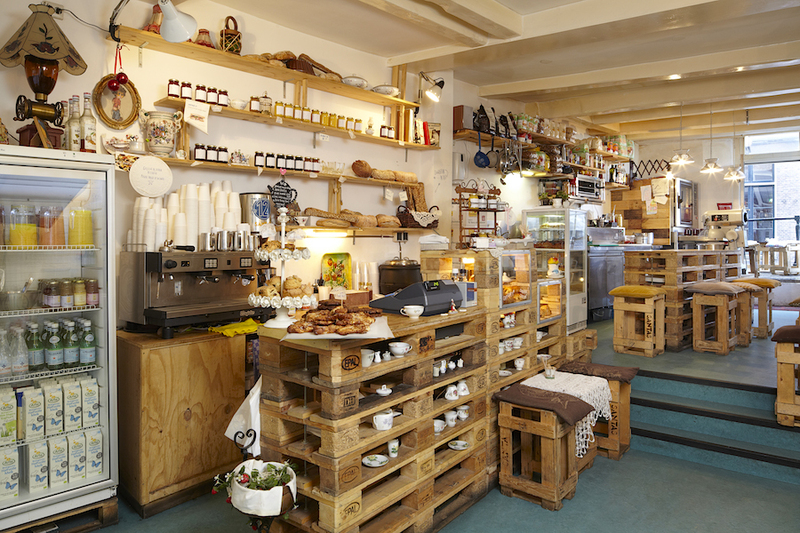 This vegan-friendly, whole food store in the heart of the Jordaan is the perfect place for a fresh and healthy lunch. The store also offers coffee, juices, smoothies, sandwiches and wraps and a variety of other tasty snacks. It’s worth a visit, even if you’re not a vegan. The owner, Jay, is known as the King of Juices. Here you’ll find tasty fresh wheatgrass shots and exotic juices with surprising ingredients. Let Jay advise you on the juice that’s the best for your health at this very moment and enjoy the original and colorful interior while you do. Juices from the heart! Lavinia boasts delicious breakfasts, a daily offering of fresh to-go dishes and hearty lunches. They make the tastiest dishes with products from local suppliers and cook according to what’s in season. And while you’re eating, have a look (and a shop) around! Almost everything around you is for sale. Here you’ll find an amazing array of products from authentic scones and fresh bread, traditional quiches and tarts, to delicious hearty sandwiches and so many other amazing delicacies. Enjoy authentic, handmade products that are incredibly fresh and organic to boot. If you’re in the neighborhood of Rembrandtplein, don’t forget to score a tasty cold-pressed juice or booster shot at this hip juice bar. They even offer 1, 2, 3, 4, and 5 day-long detox programs. Fresh ingredients, amazing flavors and delicious desserts! This small, vegetarian and vegan restaurant has a fun, colorful interior and a great menu. It’s worth a visit and even non-vegetarians are welcome. A great place to go for supplements and high-quality superfoods. They also sell tasty raw-food snacks and natural skincare products. You can also order their products online (link) and have them delivered to your home. Café de Ceuvel is the perfect getaway when you’re looking to avoid the hustle and bustle of the city and enjoy a healthy lunch or a good cup of coffee in a cool, creative place out in the sun. The cafe is built entirely out of recycled materials and is as self-sustaining as possible. Enjoy your coffee while taking in some live music, a film or a monthly reading on the subject of the food we eat. Pllek uses local products, organic, sustainable meat and sustainably caught fish. What’s more, this beautiful location offers seating on the water and even has a little ‘city’ beach where, at night, you can warm up alongside a campfire. How romantic! A unique seafood restaurant with an amazing location. The extensive menu will please any seafood lover and all the fish is sustainably caught, incredibly fresh and in season. Enjoy the view of the rippling water in ’t Ij while you’re enjoying your deliciously prepared fish. Feel like a healthy lunch or don’t have time to cook dinner? SLA is the place to go! This organic salad bar makes delicious, seasonal salads, juices and soups on the spot. They have locations in Amsterdam-Zuid, West, De Pijp and the Centrum. A true coffee hotspot where they also sell very cute clothes! You can also enjoy a tasty sandwich or cake here at lunchtime. Everything is made fresh daily using ingredients from local suppliers. A cozy and inspiring place for a vegetarian, vegan or gluten-free breakfast, brunch or lunch. Organic, seasonal and local products are used whenever possible. Beter & Leuk also offers workshops and sells art and clothing. De Kas offers a new menu every week that includes products from its own organic nursery. A meal here is a special experience, as you’ll be eating your lunch or dinner in a real greenhouse that’s been converted into a restaurant! Fighting food waste! This is what this restaurant in Amsterdam East stands for. The chefs at this hot spot rely on food that would otherwise be wasted. How great is that? Because of their commitment to fighting against food waste, there is no á la carte menu, only a chalkboard with the day’s offerings for you to choose from. P.S. Be sure to order the homemade iced tea with your lunch… So tasty! This hidden gem is next to the organic supermarket, Odin, at the beginning of the Czaar Peterstraat in Amsterdam East. Spirit is one of a kind in Amsterdam, as it is the only vegetarian and organic buffet restaurant in the city. Everything they serve is seasonal and prepared fresh. Their dishes ranges from warm soups and filling salads to desserts that are to die for! And they don’t use any refined sugar at all. Go check out Spirit, guys. At Benji’s, you feel like you’ve been transported to an urban jungle, in the middle of the city. This hot spot on the Wibautstraat is filled to the brim with plants and flowers, which makes it the perfect spot to take a break from all the city craziness! Tip: Order the homemade bun with hummus and grilled vegetables or try a Buddha bowl. 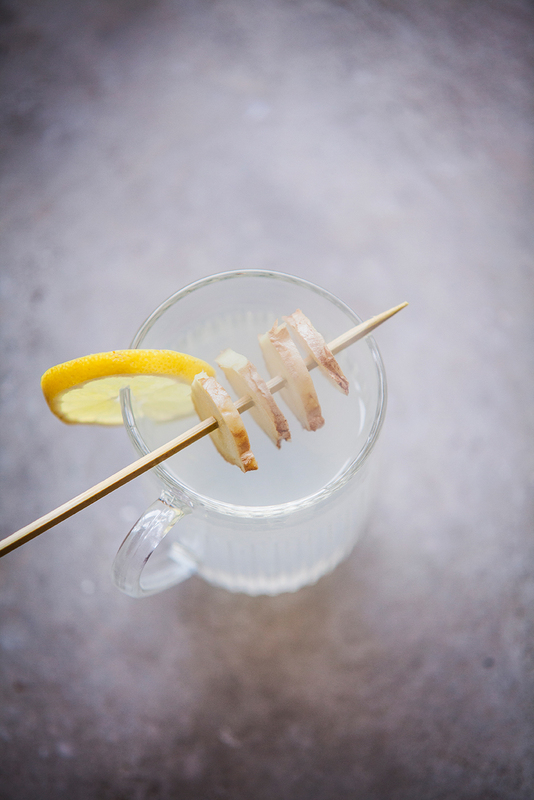 This place truly adds something to the city – a hotspot serving Frisian cuisine. The dishes on the menu make me nostalgic… My pake and beppe used to make these very things for me when I was small. These meals inspired some of the recipes in my books. At Thuskomme, I had the seasonal vegetarian menu and it was, indeed, just like coming home. 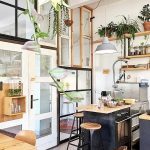 This beautiful, new hot spot on the Linnaeuskade has as its goal to make it easier for vegans and non-vegans, alike, to eat plant-based food. Their menu is rife with original dishes, all of which are tasty and are prepared with a great deal of care and attention to detail. Tip: Order the vegan french toast waffle (with tempeh bacon – yum!) and the raw lemon cheesecake for dessert. Here you can have your fill of vegan comfort food, tasty tarts and treats like homemade granola. It’s also great that you can order almost anything on the menu to go. Once your stomach is full, have a look around at the skincare products and accessories. One of the first farmer’s markets in Amsterdam is the Noordermarkt, located in the middle of the Jordaan. Spend your Saturday strolling along the kiosks with all their delicious wares, straight from the farm – you might even find yourself a bargain along the way. The very first indoor food market in the Netherlands. Enjoy delicious Asian bites, a fresh Friska or a tasty vegetarian snack from Green Brothers. Haven’t been yet? Make sure to go the next time you’re in the city, so much fun! STACH is a well-stocked food store selling fresh, take-away meals, soups, sandwiches, coffee and lots more. There are already six locations in Amsterdam, so you’ll have no problem finding one and picking up something easy and healthy no matter which part of the city you find yourself in. Meneer de Wit Heeft Honger is a Mediterranean restaurant that offers seasonal, refined vegetable dishes and sustainably raised meat, poultry and fresh fish according to the shared-dining principle. Lots of fun with a group of friends or nice and romantic for a night out with your sweetie. Generally speaking, we’re not big fans of fast food, but if you can’t resist a portion of delicious fries after a day of shopping, make sure you get your hands on the tasty, homemade, fresh, organic and unpeeled fries at this organic snack bar! In addition to the fries, Natuurlijk Smullen offers an array of 100% pure and organic meat-based, vegetarian, vegan and/or gluten-free snacks. Looking for a place that offers the ultimate healthy pleasures? From vegan breakfasts, lunches and dinners to late-night drinks: SNCKBR is the place to be! The menu is full of delicious and healthy comfort food in large and small portions. My favorite? 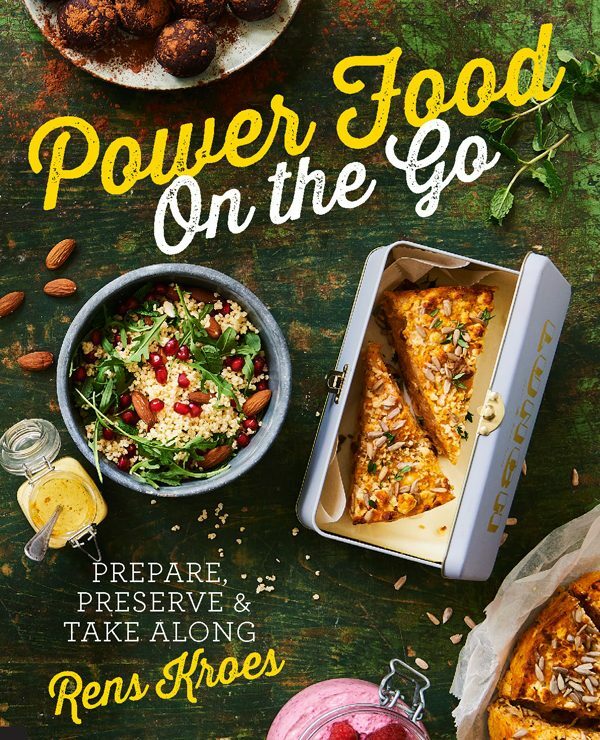 The cauliflower pizza and the brownie with coconut blossom caramel sauce… Yum! Amsterdam West is one beautiful, vegetarian restaurant richer! 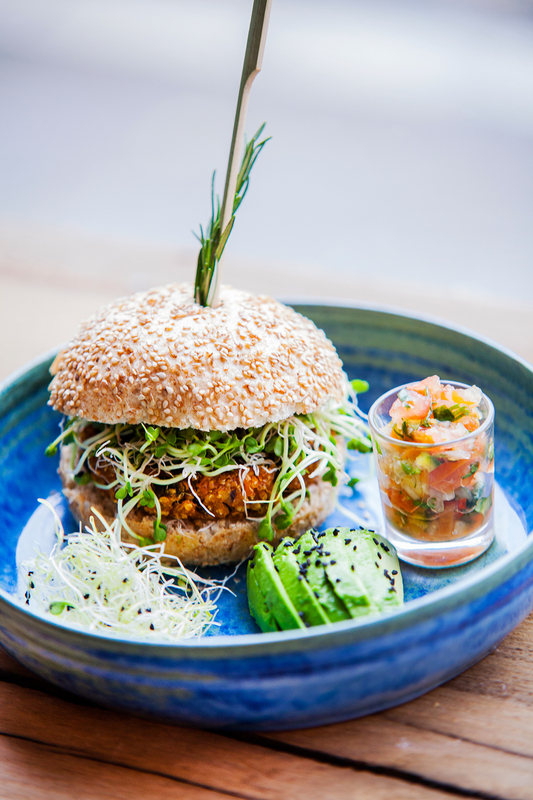 Located on the Bilderdijkstraat, this is the go-to place for completely vegetarian and vegan meals. It’s the perfect hangout that serves lunch and dinner, as well as healthy juices, coffee and delicious, vegan cakes. Everything on the menu is made from pure, fair and healthy ingredients. Tip: Order the ‘Caesar’ salad… You don’t want to miss this one! Looking for a filling and nutritious soup, salad or pasta? Search no further. Open from Tuesday to Sunday, for lunch and dinner, Voldaan serves dishes that are full of healthy, organic and fair products and feature vegetables in the starring role. My personal favorite: the kimchi soup with vega balls… Yummy! 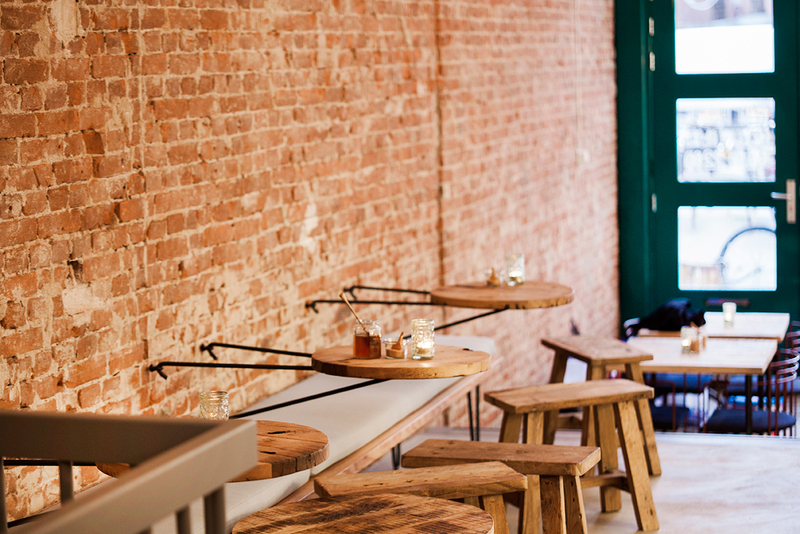 Looking for a place to get some work done and enjoy a good coffee and freshly baked snack in the Baarsjes? Head to Koala Republic. It’s a nice, quiet spot to do a bit of work or read a book. I love coming to this place on the Kinkerstraat. 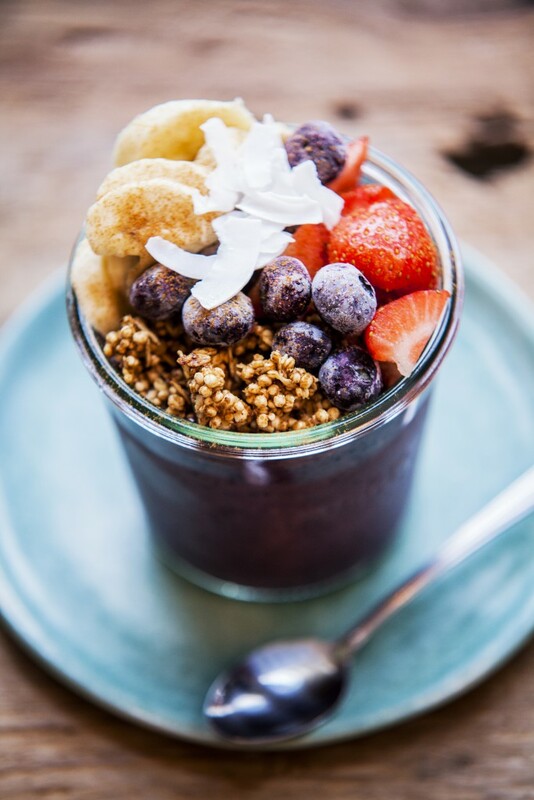 They have lots of powerfood on offer, like açaí bowls, raspberry cashew bowls, juices, filling salads and sandwiches. I’m also always tempted by the delicious (vegan) baked goods they have on display. Haha! This is a great place to hang out with friends or to read a magazine on the sunny patio. Alright, these burgers – made of seaweed and other plant-based ingredients – really are next level. And vegan! At a loss for what to cook tonight and feel like picking up something healthy to-go? Grab a burger from The Dutch Weed Burger and ask for some kimchi on top. So unbelievably tasty! This spot isn’t all that new, but I realized it wasn’t on my list and believe me… It definitely should be! I like to come here on the weekend for a cup of coffee and a slice of homemade banana bread. You can also come here to read a book or catch up with friends, as there is no wifi. Pretend it’s 1992! ; ) This fun coffee place is located in Oud-West, and when the sun is shining, be sure to look for a place on their lovely patio. Juice Brothers sells really great, cold-pressed, organic juices, shots and healthy snacks. This is their first location, but you can also find them in the Centrum and they also have a little juice stand in De Baarsjes. In addition to their juices and smoothies, they also offer a 1, 3, or 5 day detox cleanse. This old school building is now a creative hotspot. 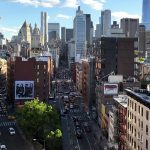 It’s a place where food, art and culture mix with creative entrepreneurship. Old School restaurant focuses on cooking with sustainable, local and organic products. Start your day right with a cold-pressed juice and an bowl of oatmeal at Roots. At lunch and dinnertime they also have fantastic organic salads, wraps, quinoa dishes, veggie burgers and soups. 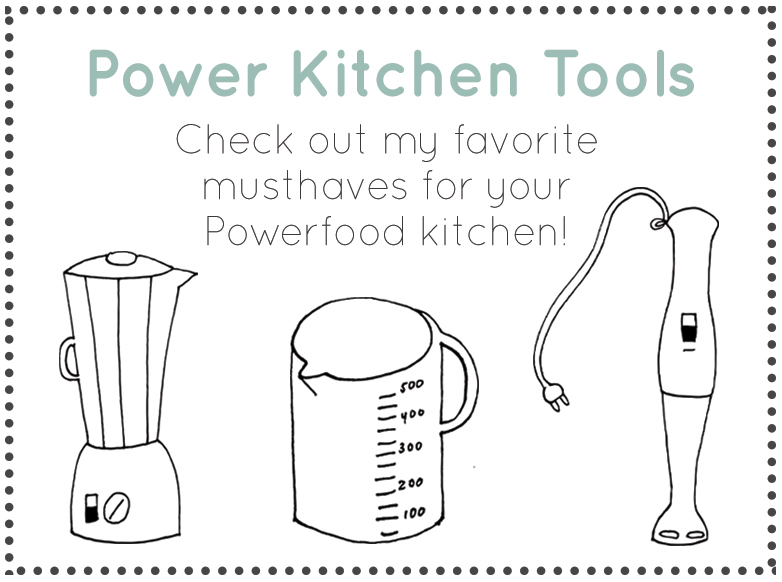 Feel like experimenting with juicing and cooking at home? 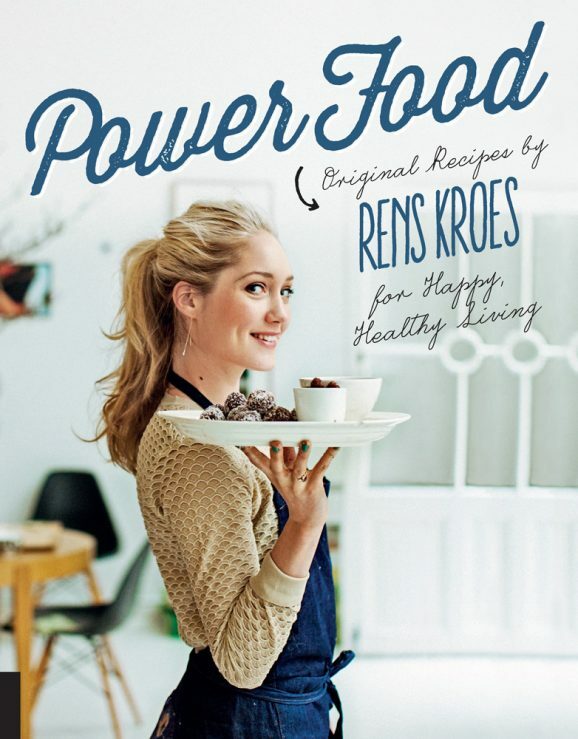 Roots sells great cookbooks and even slow juicers. Local products, lovely salads’ is their motto and you’ll be convinced as soon as you walk in the door! This healthy hotspot in De Pijp relies on fresh, local, seasonal produce mixed into amazing meal-sized salads. Come and taste all the amazingness and hear the stories behind all the various ingredients. Go to this new hotspot for a good cup of coffee, a healthy juice and a menu full of delicious breakfast, lunch and dinner options. All the dishes at The Meets are prepared on site with local, pure and (as often as possible) organic ingredients, 80% plant-based and 20% animal-based. It’s the perfect place to meet! Attention all avocado lovers! This hot spot in De Pijp is a must-visit when you’re in Amsterdam. They serve the tastiest and most beautiful dishes here, all with avocado in the starring role. I ate here not too long ago and had the Avo Rose the Very Berry Waffle. Yummm! On some level, though, I do have mixed feelings about my love of avocados. They are so healthy and delicious, but because of the whole avocado trend, cartels have gotten their hands on plantations. Murders and extortion are increasingly commonplace and people have even started using the term ‘blood avocados’. What’s more, avocados require about twice as much water in a day as a human person. So enjoy them, but eat them in moderation. 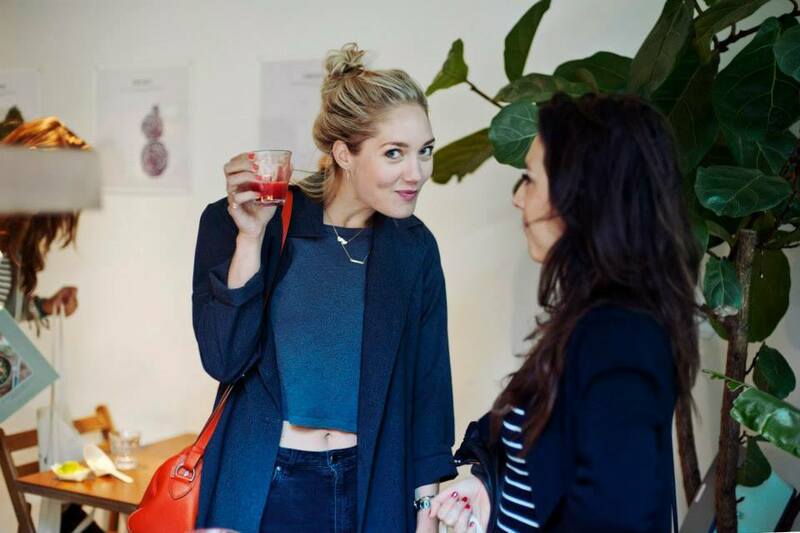 This juicery sells healthy, raw-food snacks, cold-pressed juices and superfood smoothies to go. Everything is made with the best organic and locally produced ingredients. Looking for a good breakfast and/or lunch in Amsterdam South? Walk on over to Mylk! They serve local, seasonal, homemade powerfood and you can even put together your own breakfast bowl. How fun is that? Feel more like something savory? Order the classic avocado toast on sourdough bread and choose your own toppings. Yerba just opened its doors, but it’s already super busy. The menu consists of ‘plant-forward’ dishes that feature vegetables in the starring role. If you’d like some meat or fish with your meal, you can order it from the super-friendly staff. There’s something for everyone! This is also a great place for Sunday brunch. The name says it all…COFFEE! At Luza’s, any Powerfoodie can enjoy a tasty coffee with a slice of delicious (vegan) cake. They have their own brand of coffee on offer and happily take all of your food preferences/requirements into account. I ordered the lemon tart and, my god… Heavenly! This welcoming coffee place, located in the Pijp, is also the place to be for breakfast and lunch. You know that feeling when you’re just really craving something tasty? Americans use the expression ‘got the munchies’ to describe this. At Munch, you can get your hands on fresh, nutritious and tasty food (and lots more) that can satisfy even the worst case of the munchies. The last time I was there, I ordered the anti-oxi brekkie. Nom!! So, if you find yourself in Amsterdam-Zuid and you’ve got the munchies… You know where to go! 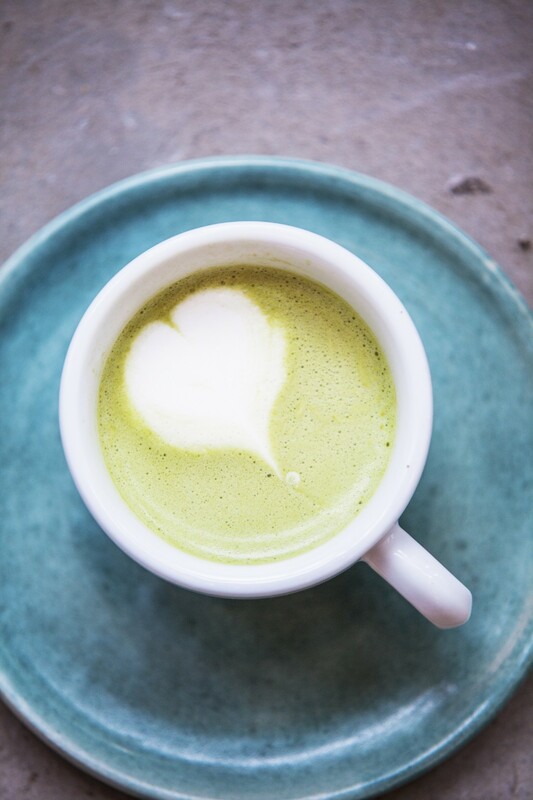 Matcha lovers, this one is for you. Matcha waffles, matcha cake rolls, matcha lattes, matcha everything! You won’t believe your luck. This colorful bar is located in the heart of the Pijp and is open from Tuesday to Sunday. I’ve heard so many good things about this place. The next time I’m in the neighborhood, I’m heading straight to it. See you there? Have something to celebrate? Looking for a fancy place to go in Amsterdam? Look no further than Bolenius. In addition to great atmosphere, this restaurant has another little secret: its own vegetable garden. How cool is that? Everything you order comes right out of their own garden. My plate was filled with powerfood, looked beautiful and tasted incredibly fresh. I like! Amsterdam is a wonderful, bustling city in which new places spring up all over the place, all the time. We do our best to keep this blog as up to date as possible, but if we’ve missed something, please let us know via hello@renskroes.com and we’ll add it! Check beneath, are some completely unrelated websites to ours, on the other hand, they’re most trustworthy sources that we use. They’re really convincing and can definitely work. Nonetheless, the posts are very quick for starters. Byłem na rewelacyjnych wkacjach w Chorwacji. W Pokojach Mary było wspaniale. Dojazd trwał 12h od granicy w Zwardoniu. jest z kamieniami a woda czysta. Nasz apartament znajduje się w Bosanie. niesamowity sposób by zregerować siły. I actually is looking both for sites that give fair, balanced commentary on all issues or sites that contain a liberal or left-wing slant. Thank you.. I must show thanks to you just for rescuing me from this type of situation. After looking out throughout the the net and obtaining recommendations which are not beneficial, I thought my life was done. Living devoid of the strategies to the problems you have sorted out as a result of the guide is a serious case, and ones which could have badly damaged my career if I hadn’t come across your web site. Your primary expertise and kindness in touching all the things was priceless. I am not sure what I would’ve done if I hadn’t discovered such a step like this. I can now look ahead to my future. Thank you very much for the expert and amazing guide. I will not think twice to endorse your site to anyone who ought to have counselling on this problem. certainly like your web-site but you need to test the spelling on quite a few of your posts. Many of them are rife with spelling problems and I find it very bothersome to tell the truth nevertheless I’ll definitely come again again. Simply desire to say your article is as astounding. The clearness in your post is just nice and i could assume you are an expert on this subject. Fine with your permission let me to grab your feed to keep updated with forthcoming post. Thanks a million and please keep up the gratifying work. My wife and i got cheerful Peter could complete his studies from your ideas he was given out of the weblog. It is now and again perplexing to just always be making a gift of guides that many others may have been making money from. And now we remember we now have you to thank for that. These illustrations you made, the straightforward web site menu, the friendships you will help to promote – it is mostly fabulous, and it is making our son in addition to the family do think the subject matter is exciting, which is truly essential. Thanks for everything! I truly wanted to write a comment to appreciate you for the marvelous ideas you are showing on this website. My particularly long internet lookup has finally been recognized with excellent knowledge to go over with my companions. I would suppose that we site visitors actually are unequivocally endowed to dwell in a useful website with so many brilliant individuals with very helpful techniques. I feel quite fortunate to have encountered your entire web site and look forward to some more brilliant moments reading here. Thanks a lot again for a lot of things. I do accept as true with all the ideas you have presented to your post. They’re very convincing and can certainly work. Nonetheless, the posts are too brief for novices. May just you please prolong them a bit from next time? Thanks for the post. It’s really a nice and useful piece of information. I am glad that you shared this helpful info with us. Please stay us up to date like this. Thanks for sharing. I’ve recently started a web site, the info you offer on this site has helped me tremendously. Thank you for all of your time & work. “Cultivation to the mind is as necessary as food to the body.” by Marcus Tullius Cicero. magnificent points altogether, you just received a logo new reader. What could you recommend in regards to your submit that you simply made some days ago? Any positive? I really enjoy looking at on this site, it has great content . “Beauty in things exist in the mind which contemplates them.” by David Hume. hi!,I really like your writing so a lot! percentage we be in contact more about your post on AOL? I require an expert in this area to resolve my problem. Maybe that is you! Looking ahead to look you. Its superb as your other articles : D, thanks for putting up. “Experience is that marvelous thing that enables you to recognize a mistake when you make it again.” by Franklin P. Jones. I will immediately take hold of your rss as I can not find your email subscription hyperlink or newsletter service. Do you’ve any? Kindly let me recognise in order that I may subscribe. Thanks. certainly like your web-site but you need to check the spelling on quite a few of your posts. A number of them are rife with spelling issues and I to find it very bothersome to inform the reality nevertheless I’ll definitely come back again. Simply wanna input on few general things, The website design and style is perfect, the subject matter is rattling wonderful : D.
You can certainly see your skills within the paintings you write. The world hopes for more passionate writers like you who are not afraid to say how they believe. All the time go after your heart. “The most profound joy has more of gravity than of gaiety in it.” by Michel de Montaigne. My spouse and i ended up being cheerful Peter managed to conclude his reports through the entire ideas he got out of your web pages. It is now and again perplexing just to possibly be offering guides that others may have been trying to sell. We already know we have got the writer to be grateful to for this. The entire illustrations you’ve made, the simple web site menu, the relationships you can make it easier to engender – it is most terrific, and it is helping our son in addition to the family consider that this topic is enjoyable, which is tremendously vital. Thank you for the whole thing! wonderful issues altogether, you simply gained a new reader. What might you recommend about your put up that you made a few days in the past? Any certain? I conceive this website has some really wonderful information for everyone :D. “Nothing great was ever achieved without enthusiasm.” by Ralph Waldo Emerson. I really enjoy reading on this site, it holds wonderful blog posts. “He who sees the truth, let him proclaim it, without asking who is for it or who is against it.” by Henry George. Magnificent goods from you, man. I have understand your stuff previous to and you are just too fantastic. I really like what you’ve acquired here, certainly like what you’re stating and the way in which you say it. You make it entertaining and you still take care of to keep it wise. I can’t wait to read much more from you. This is actually a great website. Hello my loved one! I want to say that this post is awesome, great written and include almost all important infos. I would like to see extra posts like this. you are truly a excellent webmaster. The web site loading velocity is incredible. It sort of feels that you are doing any unique trick. Also, The contents are masterpiece. you have performed a great task on this topic! I genuinely enjoy studying on this website , it has excellent blog posts. “Do what you fear, and the death of fear is certain.” by Anthony Robbins. You are my inhalation, I possess few blogs and infrequently run out from post :). “He who controls the past commands the future. He who commands the future conquers the past.” by George Orwell. I think this website has some very fantastic info for everyone :D. “I like work it fascinates me. I can sit and look at it for hours.” by Jerome K. Jerome. I have to express my appreciation for your kindness giving support to those people that must have assistance with this one content. Your personal commitment to passing the solution all-around became exceptionally valuable and have regularly permitted most people just like me to attain their desired goals. The useful publication means a great deal to me and especially to my colleagues. Regards; from each one of us. hi!,I love your writing so much! share we keep up a correspondence more approximately your post on AOL? I require a specialist on this house to unravel my problem. May be that’s you! Looking forward to see you. I have recently started a site, the information you provide on this website has helped me tremendously. Thanks for all of your time & work. “Show me the man who keeps his house in hand, He’s fit for public authority.” by Sophocles. Thanks, I’ve just been searching for information approximately this subject for a while and yours is the best I’ve found out till now. However, what in regards to the bottom line? Are you sure about the source? Thank you for sharing excellent informations. Your web site is very cool. I am impressed by the details that you’ve on this site. It reveals how nicely you understand this subject. Bookmarked this website page, will come back for more articles. You, my friend, ROCK! I found simply the info I already searched all over the place and just could not come across. What a great web-site. Wonderful goods from you, man. I have understand your stuff previous to and you’re just too wonderful. I really like what you’ve acquired here, really like what you’re stating and the way in which you say it. You make it entertaining and you still care for to keep it sensible. I can’t wait to read much more from you. This is really a tremendous site. I have been browsing on-line greater than three hours lately, but I never discovered any attention-grabbing article like yours. It’s lovely value enough for me. In my opinion, if all webmasters and bloggers made good content as you probably did, the web might be a lot more helpful than ever before. “Revolution is not a onetime event.” by Audre Lorde. Fantastic goods from you, man. I’ve understand your stuff previous to and you are just too excellent. I actually like what you have acquired here, certainly like what you’re stating and the way in which you say it. You make it enjoyable and you still care for to keep it sensible. I cant wait to read much more from you. This is actually a wonderful website. I’m just commenting to make you be aware of what a cool discovery my friend’s daughter undergone viewing your web site. She learned a lot of pieces, with the inclusion of how it is like to possess a marvelous helping style to get the others with ease learn selected advanced issues. You really exceeded our own expected results. Many thanks for presenting these essential, healthy, revealing and unique thoughts on this topic to Ethel. Thanks, I have recently been searching for information about this subject for ages and yours is the greatest I have found out till now. But, what in regards to the bottom line? Are you sure concerning the source? Thanks, I have recently been searching for information about this subject for a while and yours is the greatest I’ve discovered so far. But, what in regards to the conclusion? Are you sure in regards to the supply? It’s actually a nice and useful piece of info. I’m satisfied that you just shared this useful info with us. Please keep us up to date like this. Thank you for sharing. Utterly composed subject material, thanks for entropy. “Life is God’s novel. Let him write it.” by Isaac Bashevis Singer. wonderful issues altogether, you just received a brand new reader. What would you recommend in regards to your put up that you simply made some days in the past? Any certain? I’ll immediately seize your rss feed as I can not to find your e-mail subscription hyperlink or e-newsletter service. Do you’ve any? Kindly let me recognise so that I may subscribe. Thanks. I got what you intend, regards for posting .Woh I am pleased to find this website through google. “It is a very hard undertaking to seek to please everybody.” by Publilius Syrus. I simply couldn’t leave your site prior to suggesting that I actually loved the usual info a person supply on your visitors? Is gonna be again steadily in order to check out new posts. Perfectly indited written content, regards for selective information. “The earth was made round so we would not see too far down the road.” by Karen Blixen. Thank you, I have recently been looking for information approximately this subject for ages and yours is the greatest I’ve came upon so far. But, what concerning the bottom line? Are you certain about the source? Nice read, I just passed this onto a colleague who was doing some research on that. And he just bought me lunch because I found it for him smile Therefore let me rephrase that: Thanks for lunch! “Procrastination is the thief of time.” by Edward Young. Hello very nice web site!! Guy .. Excellent .. Wonderful .. I will bookmark your site and take the feeds also…I’m happy to seek out so many helpful info right here within the publish, we want develop extra techniques in this regard, thanks for sharing. I genuinely enjoy looking through on this site, it has got great blog posts. “A man of genius has been seldom ruined but by himself.” by Samuel Johnson. Hi there, You’ve done a great job. I will certainly digg it and personally suggest to my friends. I am confident they’ll be benefited from this web site. Hello my family member! I wish to say that this article is amazing, great written and include almost all important infos. I would like to peer extra posts like this. Just wanna remark on few general things, The website style and design is perfect, the articles is rattling superb. “To establish oneself in the world, one has to do all one can to appear established.” by Francois de La Rochefoucauld. Howdy very nice blog!! Man .. Beautiful .. Amazing .. I’ll bookmark your site and take the feeds additionally…I am happy to search out so many useful information right here in the publish, we want develop extra techniques in this regard, thank you for sharing. My spouse and i have been quite thankful Jordan could finish off his analysis using the ideas he had through your weblog. It’s not at all simplistic to simply happen to be handing out techniques people today have been trying to sell. We really keep in mind we have got the blog owner to be grateful to because of that. Those illustrations you’ve made, the straightforward website menu, the relationships you can help to foster – it is mostly wonderful, and it’s assisting our son in addition to our family do think this matter is amusing, and that’s truly vital. Thanks for all! You are my aspiration , I possess few web logs and occasionally run out from to post .I believe this website has got some really great info for everyone. “Drunkenness is temporary suicide.” by Bertrand Russell. It is in point of fact a nice and useful piece of information. I’m glad that you shared this helpful info with us. Please stay us up to date like this. Thank you for sharing. I’ve recently started a website, the information you offer on this web site has helped me tremendously. Thanks for all of your time & work. “Patriotism is often an arbitrary veneration of real estate above principles.” by George Jean Nathan. I would like to express my passion for your kindness in support of persons who actually need help on this concept. Your special commitment to getting the solution all through became remarkably important and have in every case helped professionals like me to arrive at their aims. The invaluable guideline denotes a whole lot a person like me and additionally to my office workers. Thanks a lot; from everyone of us. Regards for helping out, superb info. “Nobody can be exactly like me. Sometimes even I have trouble doing it.” by Tallulah Bankhead. Whats up very cool web site!! Guy .. Excellent .. Wonderful .. I’ll bookmark your web site and take the feeds also…I am satisfied to find so many helpful information right here in the submit, we need work out extra techniques on this regard, thank you for sharing. Thanks, I have just been looking for info approximately this topic for ages and yours is the greatest I’ve found out till now. But, what about the conclusion? Are you positive in regards to the source? I simply couldn’t depart your web site prior to suggesting that I extremely loved the standard info a person supply on your guests? Is going to be again incessantly in order to inspect new posts. hello!,I really like your writing so so much! percentage we be in contact more about your article on AOL? I require an expert on this space to solve my problem. May be that is you! Taking a look forward to see you. I precisely wanted to appreciate you once more. I am not sure the things that I might have created in the absence of these hints discussed by you on that field. It absolutely was a real frustrating matter for me personally, but finding out the expert manner you treated the issue took me to leap for fulfillment. Now i am happier for your advice and thus sincerely hope you find out what an amazing job you have been doing educating the mediocre ones via your web page. I know that you’ve never encountered any of us. Just wanna remark on few general things, The website pattern is perfect, the articles is real good. “We can only learn to love by loving.” by Iris Murdoch. You are my inhalation, I own few web logs and rarely run out from brand :). “Fiat justitia et pereat mundus.Let justice be done, though the world perish.” by Ferdinand I. Very interesting points you have noted , regards for putting up. “The thing always happens that you really believe in and the belief in a thing makes it happen.” by Frank Lloyd Wright. Thank you, I’ve recently been looking for information about this topic for ages and yours is the greatest I’ve found out so far. But, what concerning the conclusion? Are you positive concerning the source? Hello, Neat post. There is a problem with your web site in web explorer, could test this… IE nonetheless is the market leader and a big component of other folks will miss your fantastic writing because of this problem. I truly enjoy studying on this web site , it contains excellent content . “Those who complain most are most to be complained of.” by Matthew Henry. Wonderful site. Plenty of useful info here. I am sending it to several buddies ans additionally sharing in delicious. And naturally, thank you on your sweat! Great website. Lots of useful info here. I am sending it to several friends ans additionally sharing in delicious. And naturally, thank you on your effort! you are actually a excellent webmaster. The site loading velocity is amazing. It seems that you’re doing any distinctive trick. Also, The contents are masterpiece. you’ve performed a excellent process in this topic! You could certainly see your expertise within the paintings you write. The world hopes for even more passionate writers such as you who are not afraid to say how they believe. Always go after your heart. “Billy Almon has all of his inlaw and outlaws here this afternoon.” by Jerry Coleman. Utterly written subject material , thankyou for selective information . Simply wish to say your article is as amazing. The clarity in your post is simply spectacular and i can assume you are an expert on this subject. Well with your permission let me to grab your RSS feed to keep updated with forthcoming post. Thanks a million and please keep up the rewarding work. Keep up the wonderful piece of work, I read few posts on this internet site and I think that your blog is very interesting and contains bands of superb information. I will right away take hold of your rss as I can’t find your email subscription link or e-newsletter service. Do you’ve any? Please let me realize so that I may just subscribe. Thanks. Some truly select articles on this internet site , saved to bookmarks . Thank you for sharing excellent informations. Your web-site is very cool. I’m impressed by the details that you have on this web site. It reveals how nicely you perceive this subject. Bookmarked this website page, will come back for more articles. You, my pal, ROCK! I found just the information I already searched everywhere and simply could not come across. What a perfect web-site. I got what you intend, thankyou for posting .Woh I am lucky to find this website through google. “Those who corrupt the public mind are just as evil as those who steal from the public.” by Theodor Wiesengrund Adorno. Very interesting topic , thankyou for putting up. “Remember when life’s path is steep to keep your mind even.” by Horace. hi!,I like your writing very a lot! share we keep up a correspondence extra approximately your article on AOL? I need an expert on this house to unravel my problem. May be that is you! Having a look forward to see you. Thanks for sharing excellent informations. Your web-site is so cool. I am impressed by the details that you have on this site. It reveals how nicely you understand this subject. Bookmarked this website page, will come back for more articles. You, my pal, ROCK! I found just the information I already searched everywhere and just could not come across. What a perfect web site. I believe this internet site has some really superb information for everyone :D. “When you get a thing the way you want it, leave it alone.” by Sir Winston Leonard Spenser Churchill. Just wanna comment that you have a very decent web site , I love the style and design it really stands out. wonderful issues altogether, you just received a brand new reader. What may you suggest in regards to your submit that you made a few days in the past? Any certain? Only wanna remark on few general things, The website design is perfect, the articles is really excellent. “Crime does not pay … as well as politics.” by Alfred E. Newman. Whats up very nice site!! Man .. Beautiful .. Wonderful .. I will bookmark your blog and take the feeds also…I’m glad to search out numerous helpful information right here in the post, we’d like work out more techniques in this regard, thank you for sharing. I have recently started a web site, the info you offer on this web site has helped me tremendously. Thank you for all of your time & work. “Never trust anybody who says ‘trust me.’ Except just this once, of course. – from Steel Beach” by John Varley. Wonderful web site. Plenty of helpful info here. I am sending it to some friends ans also sharing in delicious. And naturally, thanks on your sweat! I have read several excellent stuff here. Certainly price bookmarking for revisiting. I wonder how a lot effort you set to make this type of excellent informative site. I just want to say I am just newbie to weblog and really liked your web-site. Likely I’m going to bookmark your site . You amazingly come with great well written articles. Many thanks for revealing your website. 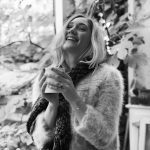 I just want to mention I am new to blogging and honestly loved this blog site. More than likely I’m want to bookmark your website . You amazingly have fantastic articles. Thanks a lot for sharing your blog site. I just want to say I’m all new to blogging and site-building and truly enjoyed this web page. Very likely I’m likely to bookmark your site . You absolutely have outstanding posts. Appreciate it for revealing your web page. I simply want to say I’m new to blogs and seriously savored this blog. Almost certainly I’m want to bookmark your blog post . You really come with awesome article content. Cheers for sharing your web page. I simply want to mention I’m newbie to blogs and honestly enjoyed you’re blog. Probably I’m going to bookmark your blog . You really have awesome well written articles. Thank you for sharing with us your web page. I just want to tell you that I am beginner to blogging and really liked your web blog. More than likely I’m going to bookmark your website . You surely have outstanding well written articles. Thank you for sharing your webpage. I simply want to say I’m all new to blogs and definitely enjoyed your blog site. Most likely I’m likely to bookmark your website . You actually have amazing articles and reviews. Bless you for revealing your webpage.